Do you have a pattern for a cope? 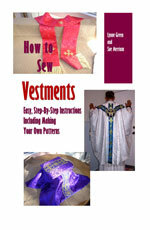 Comments for Sewing vestments myself. Unfortunately, we do not have a pattern for a cope.